With each passing financial quarter, the reality becomes clearer – fitness trackers are slowly fading into the background and smartwatches are gobbling up the interest. After being the spearhead for the wearable revolution, and becoming the way to track your daily 10,000 steps, users now want more from their fitness bands; they crave internal sensors, bigger, better screens and something that can turn their wrist from dumb to smart. But are we really watching the death of the fitness tracker play out before our eyes, or is the market simply experiencing a lull before delivering a riposte that helps it surge back in line with smartwatches? Well, right now, it’s in the balance, but there are things in the works that indicate fitness trackers could soon be back on the up. Below, we’ll take a closer look at the companies we believe will continue to lead the fitness tracker charge and explore potential next-generation features that they could look to help make sure these trackers are still part of the wearable furniture for a while yet. That 10,000 step figure we mentioned earlier is something that initially helped propel Fitbit to the top of the fitness tracker pile. 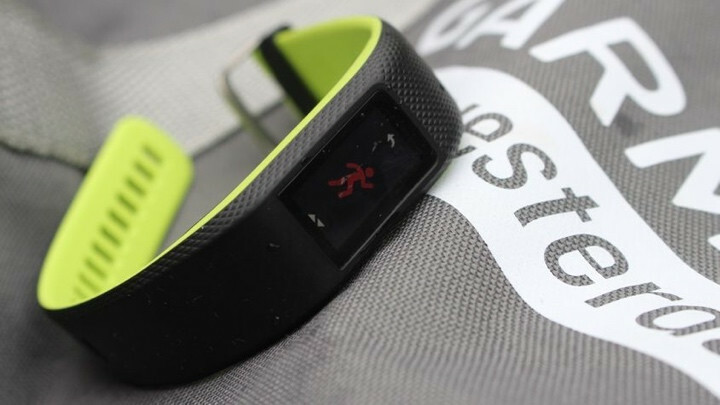 But it’s not the only thing that became linked with the wider concept of fitness tracking – how often have you heard (or still hear) people use the name Fitbit as an an all-encompassing term for all fitness trackers? A lot, is the correct answer. But while it was able to find success through the first couple of generations of the Fitbit Alta, Charge and Flex lines, its pivot to smartwatches is largely in response to slowed tracker growth and Apple, Samsung and Wear OS partners swallowing its lead. That’s not to say Fitbit’s trackers have declined, though – the fact is, Fitbit still makes great fitness trackers. The Fitbit Alta HR was our Wearable of the Year 2017, blending together everything you’d expect from a top tier fitness trackers – intuitive fitness tracking with heart rate data, sleep monitoring and wellness features – all while remaining stylish and customisable with a complementary app experience. But times are changing. 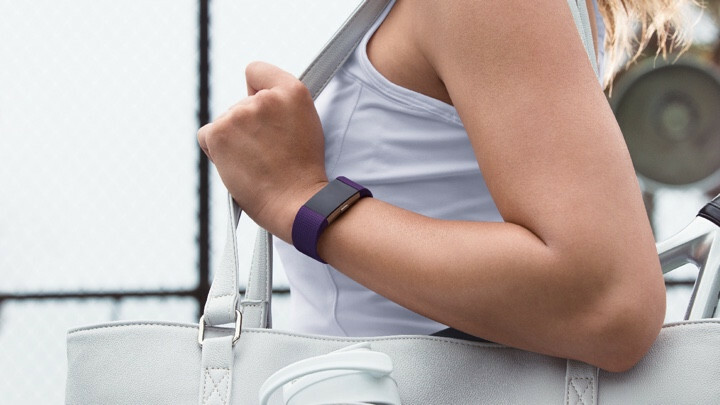 Contactless payment support is becoming standard across the wearable spectrum, and that’s something that no Fitbit trackers are able to support. 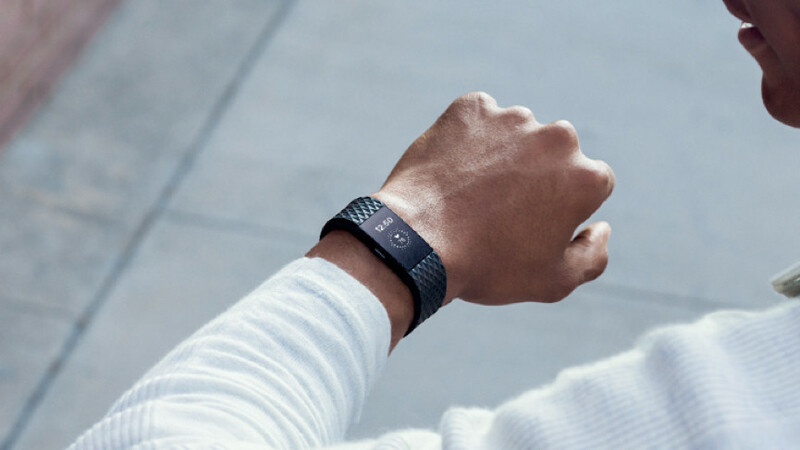 Only one – the Fitbit Flex 2 – is waterproof, as well, and the current generation of trackers offer no future route to detect health conditions, such as sleep apnea, like the Versa and Ionic smartwatches currently do. The company’s recent move into the world of kids fitness trackers is a sensible one – it’s a rapidly growing market that’s not necessarily in direct competition with smartwatches – though we’d liked to have seen a bit more functionality and a more kid-friendly design through the Fitbit Ace. None of this is helped, either, by the price. 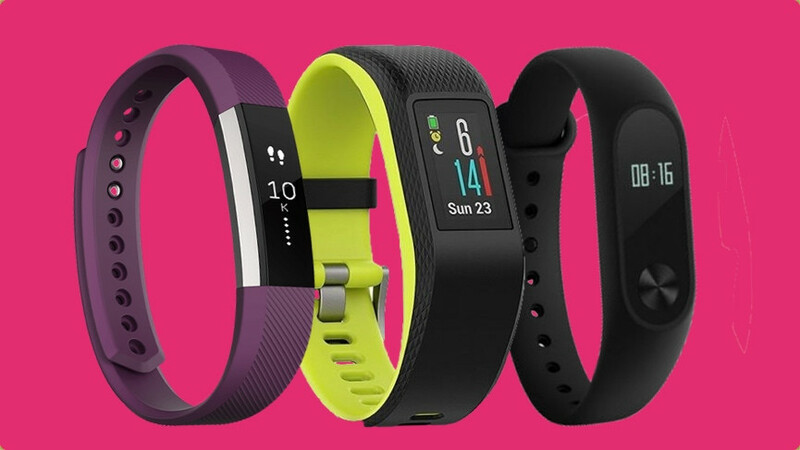 As fitness trackers have become cheaper, Fitbit’s wares have largely stayed the same, with its premium options sitting at around £149.99/$192. You can get in on the ground floor for around £40 – £60/$52-$77, but you have to sacrifice a lot of features in the process. We’ll be discussing some far-reaching ideas fitness trackers may adopt further below, but in Fitbit’s case, the immediate next steps are clear: bring the fitness trackers more in line with what we’ve seen from its smartwatches (GPS, NFC, waterproofing and health monitoring sensors) or bring down the price to compete. In the long-term, well, signs are encouraging. 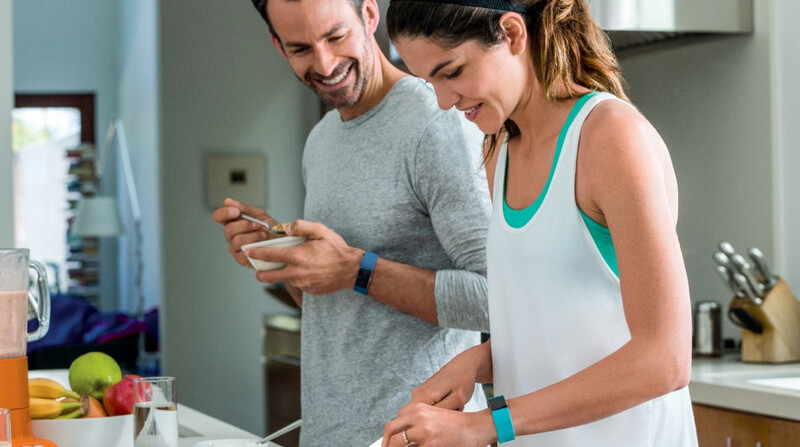 Fitbit is set up the best to deliver next-gen features, including glucose monitoring, blood pressure and sleep apnea. Garmin’s bread and butter is its sports watches, but some of its fitness trackers have also managed to inherit some of the more advanced features and carve out a nice niche in the market. The problem for Garmin is that it’s not necessarily viewed as a fitness tracker company in the same way, for example, Fitbit is. It makes devices relatively on par, but with its looks being very Garmin-y in, it’s immediately a tough sell when sat next to a Fitbit. We’ve seen that the company can produce stylish wearables – take the Vivomove HR, as the most recent example – but we’re yet to really see this come to life with its fitness trackers. Displays are often small and unfriendly to navigate through, while the bands themselves are generally bland and not customisable. Add this to the fact that the companion app experience still pales in comparison to its immediate rivals, and it’s offered around the same price as Fitbit’s equivalents, and it’s easy to see why Garmin’s trackers aren’t among its big sellers. Of course, it’s important to keep in mind that what we expect from Garmin isn’t exactly the same as Fitbit, as well. 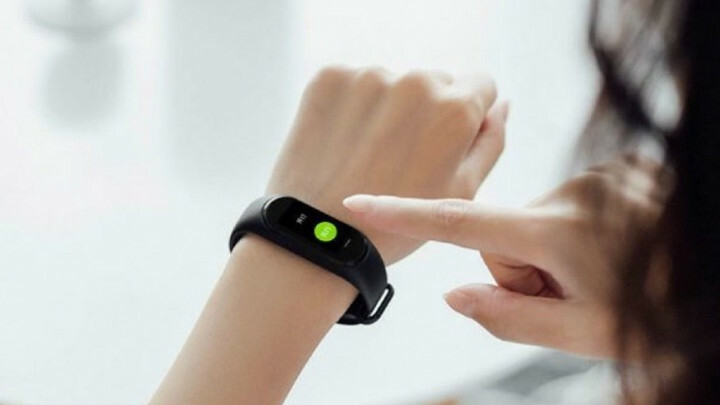 It’s a sportier name, and therefore features related to activity tracking and wellness are more important than, say, contactless payment support, but the bar has been raised by Xiaomi (as we’ll explore below) about what users expect from trackers. So for Garmin to become a force in the future, it needs to really double down on its strengths. If it remains at the same price, advancements in health monitoring and the on-wrist data need to be included, and some tweaks to the looks certainly wouldn’t hurt its chances of becoming the fitness tracker go-to. The Chinese giant may not be as well known in the western hemisphere as the likes of Fitbit or Garmin, but its ultra-budget approach has made it a force to be reckoned with in the fitness tracker market. Where Fitbit and Garmin are currently being squeezed from above by smartwatches, this bind is compounded by Xiaomi undercutting from below. It’s not simply a case of offering less features as a compromise, either. With the company’s latest trackers, the Xiaomi Mi Band 3 and Xiaomi Hey+, users are actually given some features (such as GPS and NFC) that don’t appear on the majority of Garmin or Fitbit devices. Packing this kind of stuff alongside the usual suspects – activity tracking, sleep tracking, notifications and heart monitoring – is no easy task at the best of times, but it’s downright unfair to do so for roughly £30/$39. So, what’s the downside with Xiaomi right now? Well, its trackers have never been the best looking, or beacons of premium build quality. It’s naturally a more subjective area, but throughout our testing we’ve never been wowed by the design of a Xiaomi wearable, and that’s increasingly important as more people ditch their ‘dumb’ devices and look for a smart alternative that can still look stylish. Accuracy, too, is something that Xiaomi’s bands have never aced. It’s all well and good offering activity tracking and heart rate monitoring, but these features have rarely lived up to the industry’s leaders, in our experience. But even if it doesn’t necessarily produce the best fitness trackers right now, it, in all likelihood, sits at the top of the market in terms of pure units shipped over the past year or so. There’s something to be said for that, and if it can continue building advanced features into its trackers for a low price, and improve accuracy along the way, it’s tough to see how it can be stopped from reigning supreme. While smartwatches have plenty of design variation, from square or circle bezels to hybrid or full-screen devices, the same can’t necessarily be said for fitness trackers – all are generally silicon bands featuring a small tracking module inside. Perhaps one of the biggest changes that could come to fitness tracker design, though, is flexible technology. This would mean that those same modules wouldn’t necessarily be rigid components stuck into a band, and rather thinner, bendy screens that could fit more snugly around the wrist. We’ve not seen any indication from the big names to indicate this is coming any time soon, but Samsung has long detailed its interest in flexible tech, has plenty of wearable prototypes exploring these kind of developments and already has a tracker which features something slightly different. If anybody was to deviate from the norm, the Korean giant could be first. Eventually, though, expect the relatively bulky options on offer now to be replaced by sleeker bands. Smartwatches with blood pressure monitoring are already in development ahead of release later in 2018, and it’s starting to creep into less known fitness trackers, but it’s likely that the feature won’t come to high profile trackers until the technology has been blooded in targeted wearables. Since this feature aims to offer medical-grade tracking, adding it to a mass-market device requires FDA approval and, perhaps because of this, it isn’t necessarily a priority for companies like Fitbit and Garmin just yet. Since it’s a strong indicator of overall health, though, seeing it arrive over the next few years wouldn’t be a surprise. Consistent rumours indicate that the big names are all exploring the possibility of the feature, and it’s possible that the current form factor wouldn’t even need to change to allow for it. Glucose monitoring is kind of the holy grail for wearables, but there’s plenty of dispute whether it’s even possible through non-invasive methods on the wrist. So, while it’s unlikely we’ll be seeing native glucose monitoring inside trackers any time soon, Fitbit is perhaps in a position to offer the next best thing through a future iteration of its fitness trackers, after acquiring startup Sanolast year for $6 million. Right now, the company is preparing a coin-sized glucose monitoring patch that’s minimally invasive, and the plan seems to be to beam the data it collects straight to its wearables. We’ve heard whispers that Apple is also exploring non-invasive glucose tracking, but none of Fitbit’s tracker rivals appear to be tackling the problem in quite the same way. If it’s able to pull it off convincingly, it would likely give it a significant boost among diabetics. Something else Fitbit is best positioned to tackle is sleep apnea, thanks to its inclusion of an SpO2 sensor on the underside of its devices. Right now, the technology is going unused on its smartwatches, but we expect the company to begin making moves on this sooner rather than later, and that should mean an overlap onto its fitness trackers. We’ve cried out for hydration monitoring in high-tier wearables before, but there’s no reason why it couldn’t be a feature packed inside all wearables – including fitness trackers. The problem is, it’s proven hard to do accurately. We’ve seen startups raise expectation and so far fail to deliver, but it could take the intervention of one of the big companies to achieve this. Fitbit has shown itself to be the most forward-thinking in this kind of area, though this is a feature that fits Garmin’s M.O. better than any other wearable giant. We’re used to seeing activity data interpreted by the company, and it’s not a giant stretch to imagine it developing a sensor that detects hydration through sweat when exercising.